Thanks to Tastemade.com for giving us the chance to trial videos in our articles. The Joint: Well we’ll be damned…it’s actually called The Joint. We promise we didn’t model our article layouts for this very moment. You’ll find the Joint at 19 New Cavendish Street, Marylebone, London, W1G 9TZ. You’ll also find their website here. 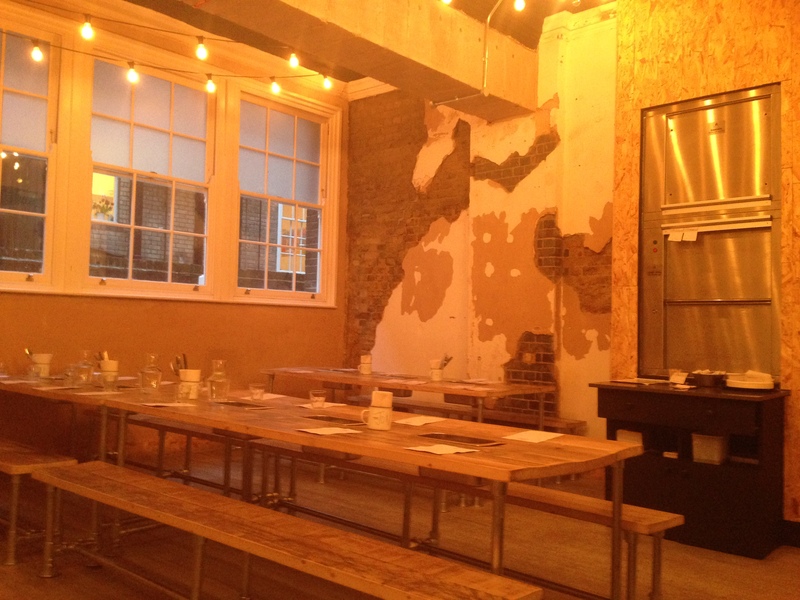 The Vibe: Originally opened as a pop-up in Brixton Market in 2012, The Joint upped the stakes (intentional meat based pun) in 2014 with their clean cut and free range friendly diner in Marylebone. 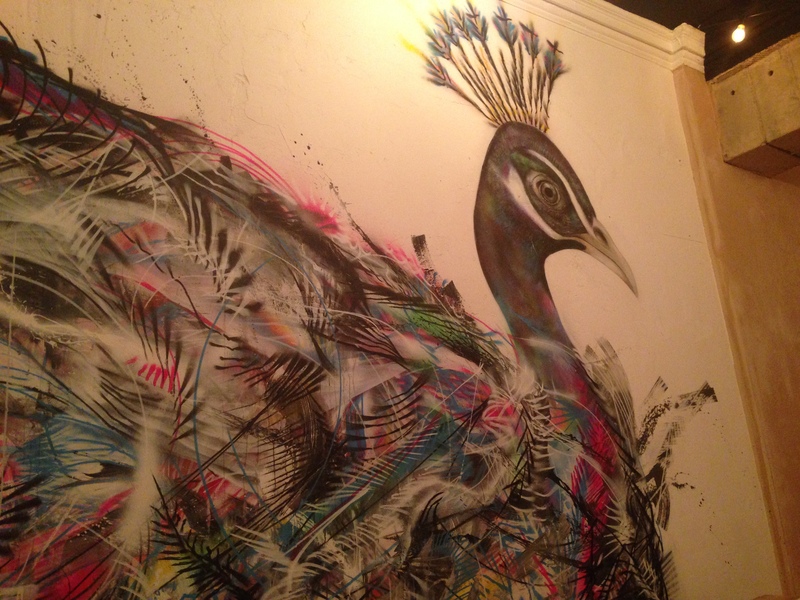 You’re welcomed by a bright BBQ sign on the door, a homage to less salubrious but equally as appealing meat shacks found in Texas, and seated on long tables beneath an impressive mural of peacock. That may sound pretentious but the staff keep it relaxed and welcoming and you certainly don’t need to match the incomes of the locals to feel at home. From there the menu is relatively straight forward. You’ve got a choice of barbecued beef, pork, or chargrilled veg served in a bun or wrap and a small selection of sides. We choose a brisket bun with a side of fries and within moments it’s served up with a smile. The beef brisket is served in a potato bun with smoked aiolo, bacon relish, and salad and it’s absolutely glorious. 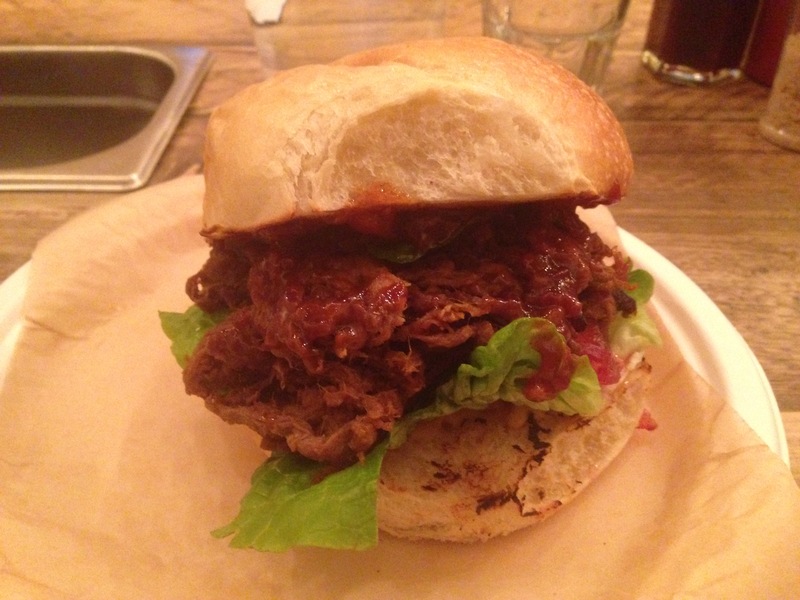 In fact we’ll go as far as saying that it’s one of the best BBQ burgers we’ve found in London to date. The brisket is soft and juicy and the bacon relish leaves a great aftertaste. 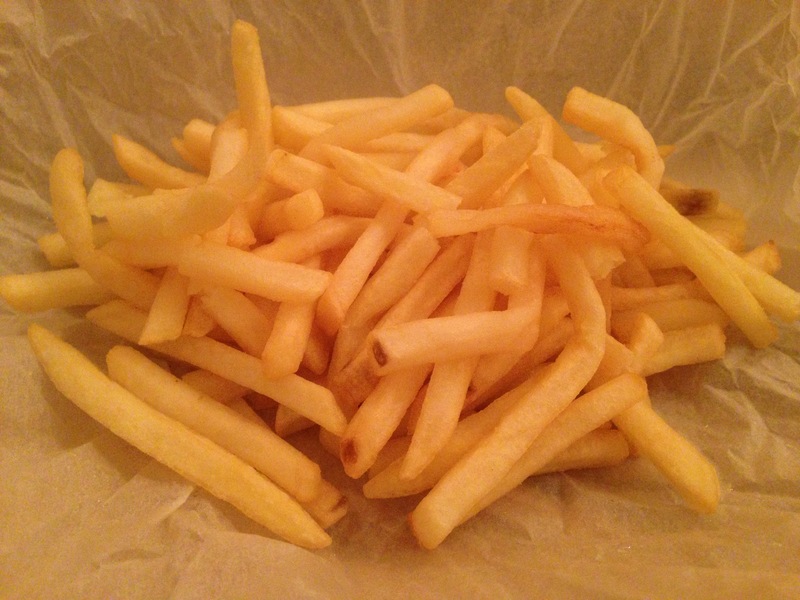 The fries compliment the meat well and are delivered in a novel and fun bundle. Once unwrapped they keep their heat and manage to be both light and buttery at the same time. 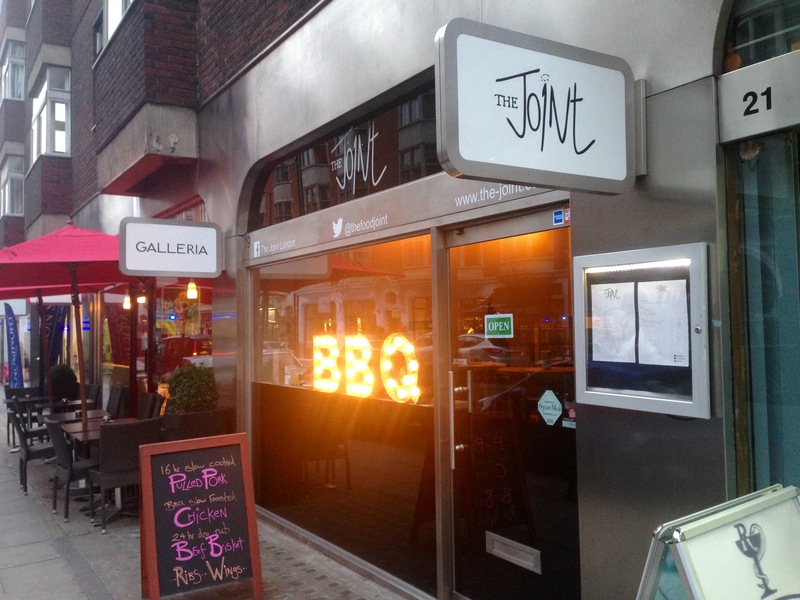 Our time at the Joint was short and sweet but we sampled enough to declare it one of the capital’s best BBQ joints. Sure it’s exclusive location does add a few pounds to the price but don’t let that put you off. 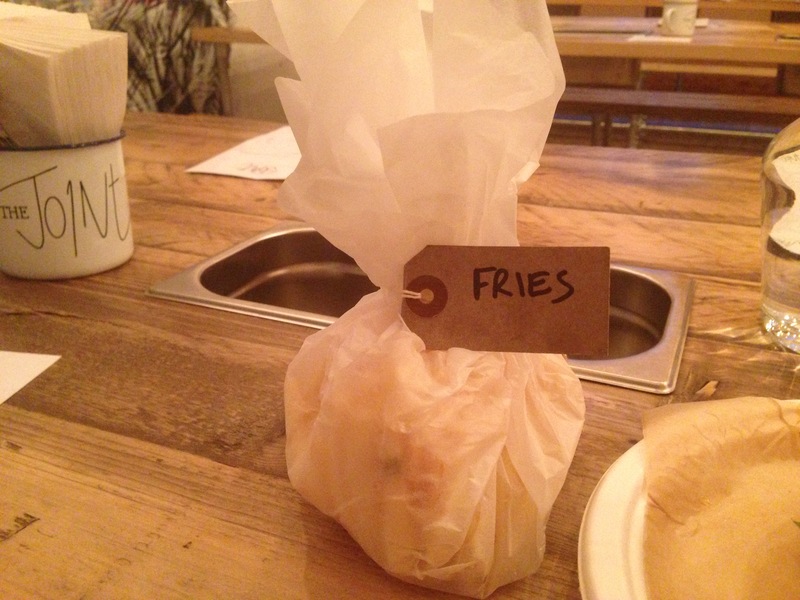 The Price: £9.50 for the beef brisket bun and £2.70 for the fries. The Joint was visited by Tom in March 2015. Posted in LondonTagged bacon, BBQ, beef, best BBQ, brisket, brixton market, burger, Food, fries, London, lunch, Marylebone, New Cavendish Street, pork, salad, The JointBookmark the permalink.